Thursday already? We are, as my friend and fellow blogger Julie (she's publishing a book! Check it out!) pointed out at the beginning of the week, continuing to make the most of a slower pace here at High In The Sky. My patient and I have been spending more time together than we have managed, I'm sure, since the summer we got married; and that? that's decades ago. But as I enjoy his company, and I think it's mutual, it's all good. Today I'm aiming for half an hour's tidying up; because I do have projects ready to go and pages I'll be able to share soon. And any day now, my Gossamer Blue December Memories kit should arrive and I'll be making a start on my Travellers Notebook. Maybe on a tray downstairs? That might work. More soon! It seems you've adjusted well to the change. Still wishing him speedy recovery from across the sea. The jar of wood veneer made me smile, because even you who uses bits on a steady basis can't seem to use it up as fast as it collects. I swear it replicates when your back is turned. Cute cards, the second is my fave! Definitely a tray downstairs, but the problem is too much screen watching and not enough crafting. A slower pace is obviously good for both of you. 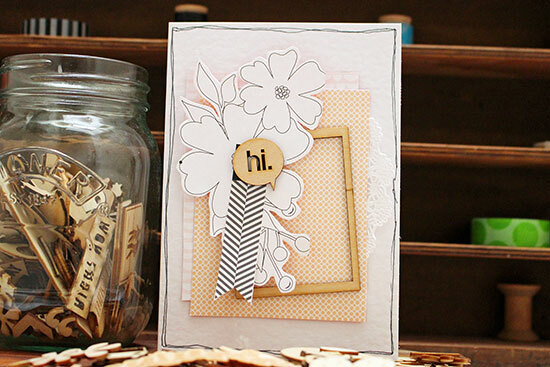 Love the jar with your wood bits. Great idea! Your cards are lovely. Every where I am seeing handmade cards - I need to get on this band wagon soon but I will get left behind, umm a solution possibility for all those bits of scrap paper. A tray downstairs is probably a happy solution. Continuing to send healing thoughts for the TA. When my kids were little, I used to scrap on the kitchen island. Was quite a mess getting it all out, but I could keep an eye on them! I am sure something will present itself....nice post! Made me happy in a hanging out with your bestie kinda of way. Recently Inset up a card table in the living room in order to craft while watching the World Series and election night activities. It worked out really well. Although we have very busy, separate, agendas, Tracy and I do spend a lot of time together, and I'm grateful that it's so enjoyable after all these years! Hope TA is improving. It would be the 'me' time I would miss; even tho I love my DH dearly, when he retired...it took a whiles to re-adjust to boundaries of togetherness that worked for us both!!! We've got it sorted now though. And yours is temporary, so I'm sure you'll be OK:) LOOOOOOOVe these cards, especially the wooden frame one....pinching that idea. I keep getting more frames that are too small for my photos....keep forgetting I can use them on my cards 'til I see someone's to remind me- so thank you!!! ALWAYS a fan of your cards Sian!! 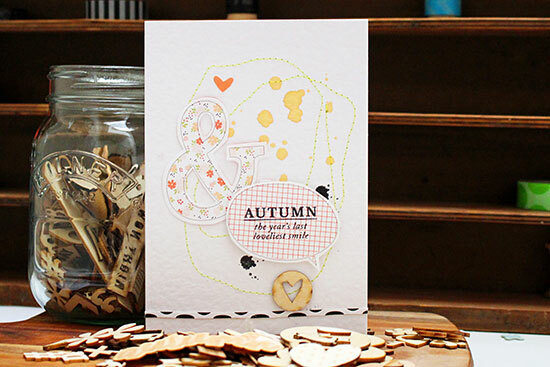 Such sunshine-y cards - lovely eye-candy for a grey November. And empathising about how difficult it can be in a caring role to find time and space for some sorts of creativity. I find my Faudori a great size for working in right now so am looking forward to hearing and seeing your Traveller's Notebook. Glad you and your life companion are still companionable :). I'm still holding out for that livestream of the pair of you - or even a podcast, I'm not greedy. Your cards are just lovely (inspiring when I have some papery floral projects of my own to settle down to today). And you're quite the most generous of friends to mention the book - thank you! I miss my up in the sky room, as well as my almost-a-whole-room-to-myself crafting areas. But I am enjoying being in the same room so that I can keep people company while I create. Lots of mini kits (or a GB box or two), plus a tote of tools, you have a lovely trolley after all to contain such things. Glad you are enjoying the time together, hope he feels better soon.